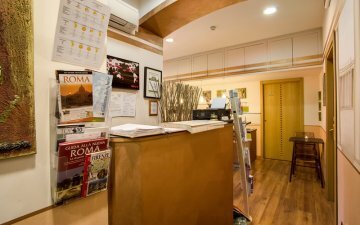 Our Relais guest house welcomes travellers and pilgrims alike to the Eternal City of Rome and to the Holy City of the Vatican. If you are travelling with children under 2 years of age, please get in touch with the hotel to make sure they can accommodate your request. 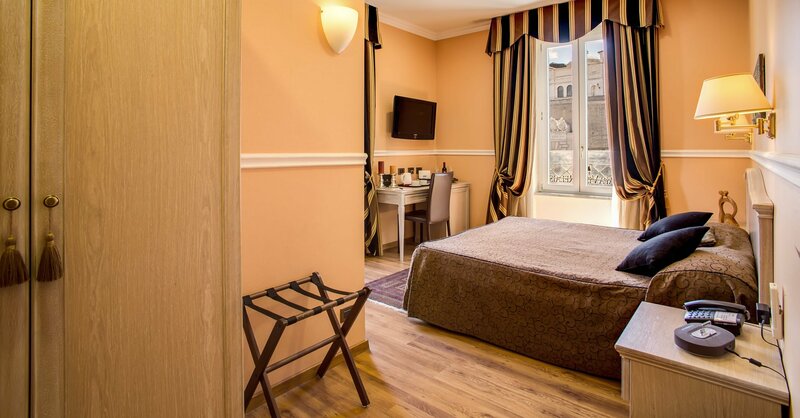 With just six intimate, cosy and delicately fashioned guest rooms, we hope to offer accommodation like no other in Rome – a unique blend of top quality surroundings in a perfect location at the greatest value for money possible. 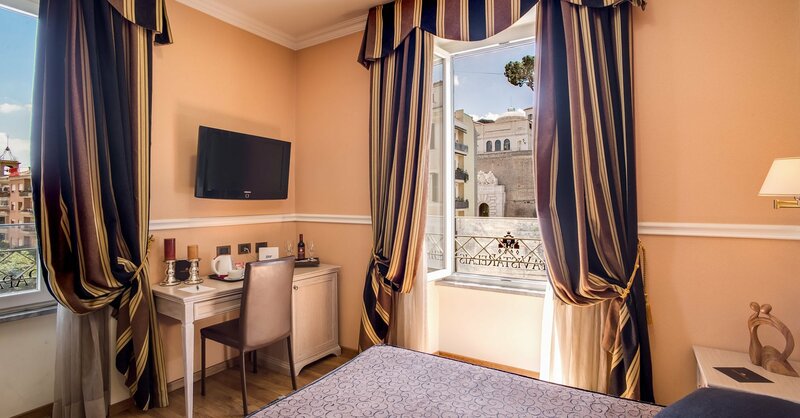 We offer a range of modern conveniences such as WIFI and international Satellite TV, while at the same time affording even the most discerning guests the highest luxury and southern Italian hospitality as can only be found in rare niches of the Eternal City. 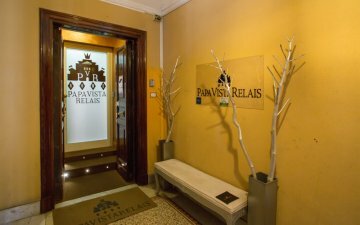 Having been recently renovated you'll find that our six private guest rooms offer among the finest value for money options in the city for refined accommodation, so it's certainly worth booking well in advance in order to not be disappointed, as our exclusive rooms at boutique Guest House PapaVistaRelais sell out quick! 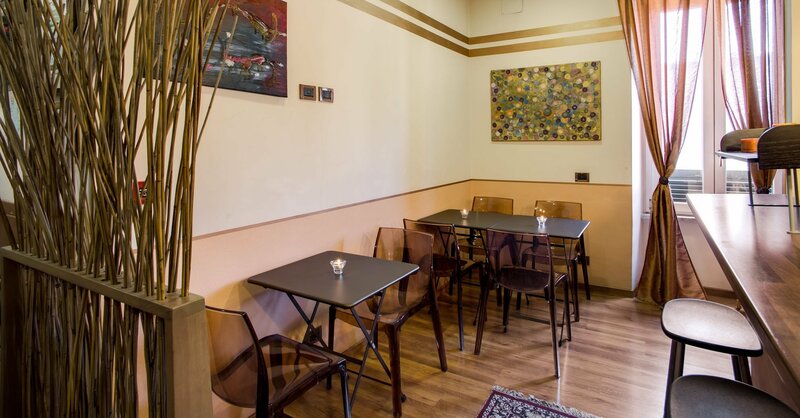 Here on our quiet side street you'll enjoy proper Roman hospitality and get to taste life like a native thanks to our warm and friendly family atmosphere and the local knowledge we'll share with you as our guests. Highly recommend - We arrived (myself, husband and husbands parents) at the hotel on Tuesday 24th October during the evening and stayed for 3 nights. Check in was very quick and we were shown to our rooms. 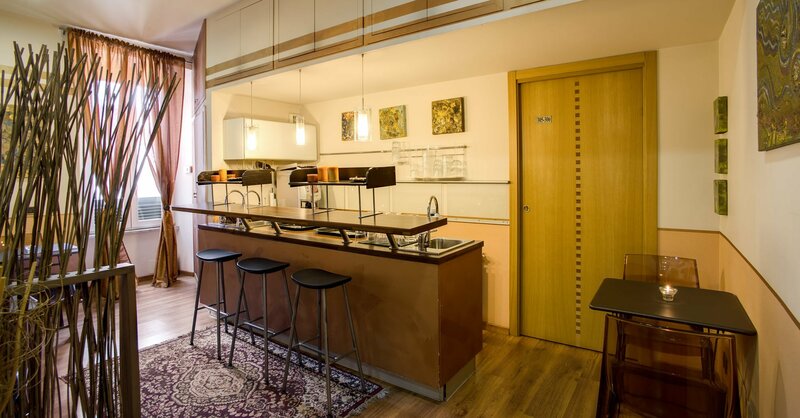 The building itself is a very old authentic roman building of the art deco period. Beds were comfy, room was spacious and the view was lovely. Breakfast is served from 7.30-9.30am. Breakfast was a continental breakfast and there was plenty of food. 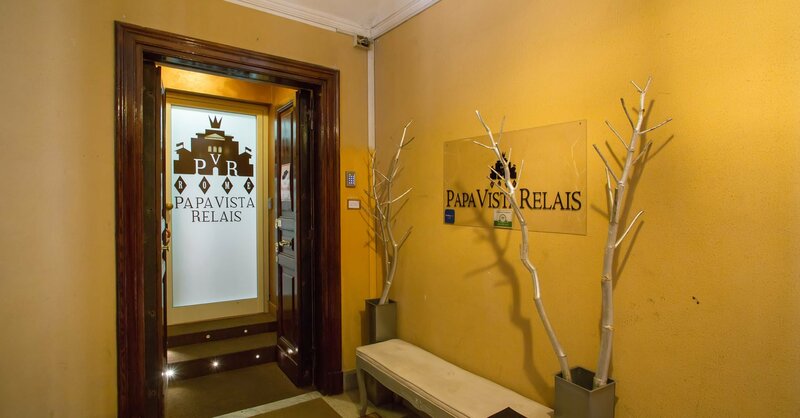 The staff at the hotel were very welcoming and very friendly, I would highly recommend this hotel to anyone staying in Rome as it's reasonably priced, directly opposite the entrance for the Vatican museum and a short 10 minute walk to St. Peter's square. We will definitely be returning. Thank you to the staff for making our visit to Rome a memorable one. Super hotel and amazing staff - The staff of the Hotel are very friendly and helpful. We wanted to see the rooms before booking, and it was before the check in time. It was no problem for us to see them and they (rooms) were great! The rooms were close together (booked 2 rooms), we had two passes for each room, which made it easy for us to go inside. 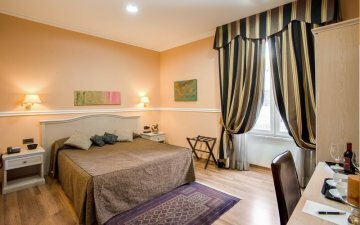 The rooms were very clean and spacious, for most hotels I have been to earlier near the center of Rome, were either small or untidy. The bathroom was great too, and the airconditioning was heavenly. We booked for one night at first, and it was no problem for us to book a second night. If you have questions about directions or anything, they try to help you as much as they can. 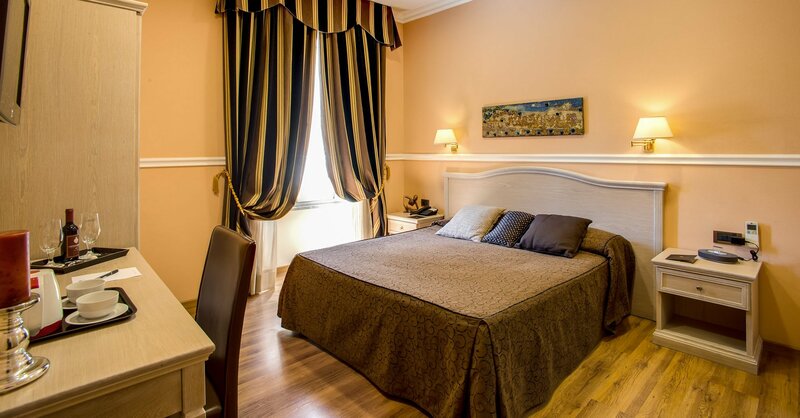 I definitely will come back to Rome and I would like to come to this hotel again. It's close to the Vatican and metro stops. If you want to go there by car, you'll have to pay or park it at a payed and secured parking. But it is all in walking distance. Thanks to the staff for helping us and see you next time.